It’s 25 years since David Maister published Managing the Professional Service Firm (1993). I count myself fortunate to have a copy inscribed by David on my bookshelf. 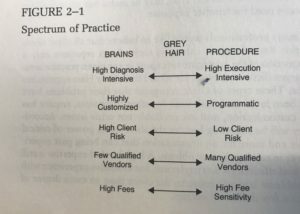 Recently, while preparing a presentation to professional services CMOs, I dipped into chapter 2, The Professional Firm Lifecycle and was reminded of the depth of David’s prescience on how meeting the range of clients’ needs profitably requires different business models. Figure 2-1 in Managing the Professional Service Firm shows David’s original classification of work types. 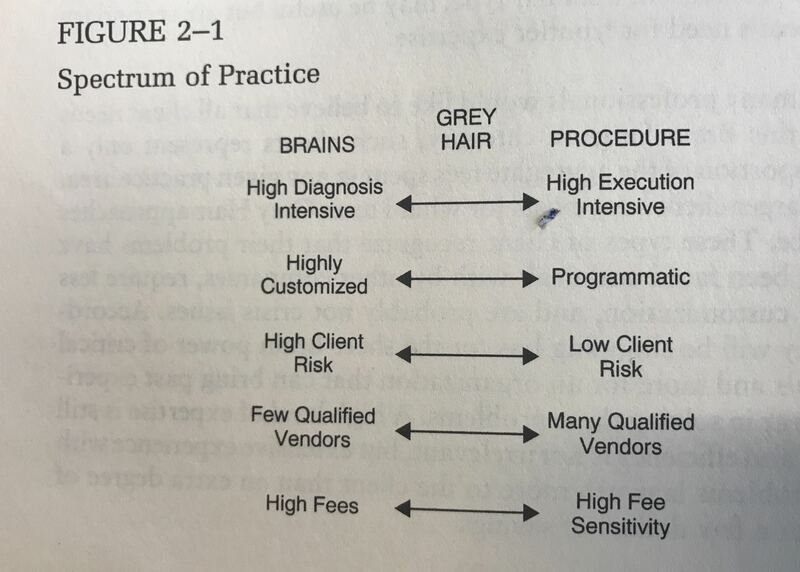 He colourfully described a spectrum ranging from brain surgery (the most complex, mission-critical work requiring specialised Expertise) through grey hair (requiring lots of Experience) to routinised, procedural work (Efficiency). The 3Es is my mnemonic. 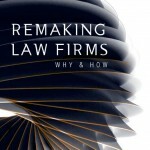 I can now report that beaton, our market insights and voice of the client consultancy, has produced what as far as I know is the first empirical and detailed evidence that clients of BigLaw firms see work types the same way as David first did. As the chart shows, the work type mix for 17 large corporate and commercial Australian law firms – as perceived and reported by their clients – separates one firm from another. 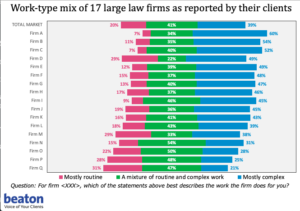 For example, firms A, F, G and I are generally agreed to be in the same strategic group, yet there’s considerable variation in their clients’ perceptions of work type mix. Different work types require different business models, including how work is won (marketing and BD), how work is delivered (staffing, sourcing, processes, role of technology), how work is priced, and how productivity and profitability are measured and rewarded. 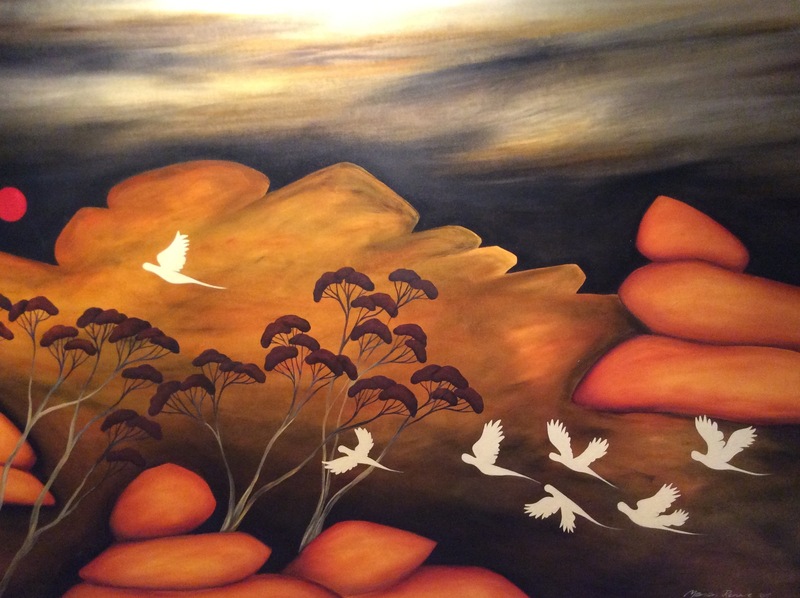 In turn, these differences mean different cultures and leadership styles are required to align strategy, structure, systems and people with clients and their needs. And further, the optimum ownership, capital structure and governance requirements of Complex and Routine work providers differ substantially. 25 years on, one has to ask, “Just how far have BigLaw firms come in managing their work type portfolios?” For the majority, I would say, “Not very far”. My thanks to our Product Manager, Shanan Kan, for his creative and careful analysis of our datasets.